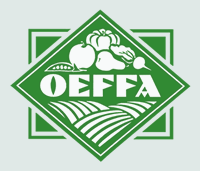 The Ohio Ecological Food and Farm Association’s (OEFFA) 39th annual conference, A Taste for Change, will run Thursday, Feb. 15 through Saturday, Feb. 17 at the Dayton Convention Center in Dayton. Friday keynote speaker is Jeff Moyer, a world renowned authority in organic agriculture. He conceptualized and popularized the No-Till Roller Crimper and wrote Organic No-Till Farming. He is the Executive Director of the Rodale Institute, which helps farmers make the transition from conventional, chemical-based farming to organic methods. He is a past chair of the National Organic Standards Board. Moyer says the result of that data is that a lot of organic product is coming in from international or offshore enterprises. He is working very hard to change that scenario and encourage more farmers to transition to organic to take advantage of an opportunity to be more profitable and at the same time improve the health of the soil and change the way that resources are being managed on the farm. AUDIO: The Ohio Ag Net’s Ty Higgins visits with Jeff Moyer of the Rodale Institute about organic agriculture, how it can be a great starting point for beginning farmers and what he hopes attendees will take away from his talk at the upcoming OEFFA Conference. Saturday keynote speaker Stacy Malkan is an author, journalist, and leading consumer advocate for safer products. Stacy is co-founder and co-director of the nonprofit group U.S. Right to Know, whose mission is to educate and inform consumers about the often hidden practices that shape the food system. She served as media director for the 2012 ballot initiative in California to label genetically engineered foods.